Sandpebbles (1101 Lake Park Blvd. 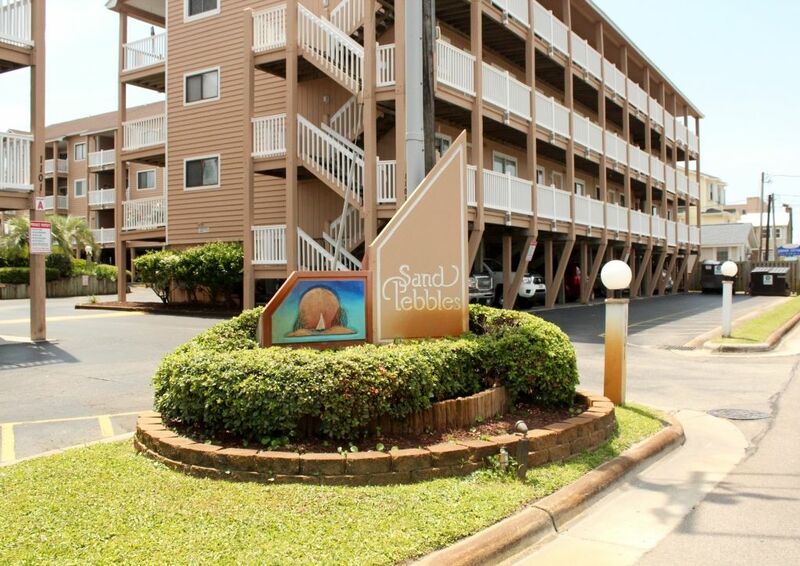 Unit A23) - 3rd Floor Unit with Spectacular Views of Carolina Beach. Oceanfront complex with ocean view, two oceanfront pools with private beach (4 outdoor showers). This is our personal condo. This is a well maintained complex, and one of the most desired condos to rent in the area. We have kept the price reasonable so that families can afford a nice relaxing vacation. My family loves this location!! All of the furniture and appliances are well maintained by us. Living room furiture, Master bedroom furniture, dishwasher and TV are new. New for the 2013 season freshly painted interior and exterior. Large sliding glass door provides access to deck. Smoking allowed on the deck only. The ocean is clean and blue. Come and enjoy the North Carolina weather and all the activities. Carolina Beach is located in Southeastern part of North Carolina. Carolina Beach is the heart of deep-sea fishing for this area. Many people make the 2-hour trip from Raleigh for the fishing. Cruise party boats are also available. Surf fishing on the ocean side of Pleasure Island or on the Cape Fear river side is my favorite pastime. There are also two fishing piers withing 2 miles. Four golf courses can be reached driving only 15 minutes. And if you thought Summer was the best time here...you may be wrong! The average temperatures for Sept., Oct., and Nov., are 85, 73 and 70. April and May are also beautiful. October and May are my favorite months--picture perfect days and the best fishing! Linens provided at no extra charge. This includes sheets and bath towels. You will need to bring beach towels. 2 private pools for Sand Pebbles guests only. Condo was exactly as described. Owner was unavailable but her son was very friendly and helpful. We usually stay in a house at OBX. We were very pleasantly surprised with this wonderful condo and it’s owner. We absolutely loved our stay and have every intention of making it our new Summer get away. The beach at Sand Pebbles was perfect. I loved that it was not overwhelming busy and the water was fantastic. Even being so early in the Summer. Thank you Garrett and JoAnne for sharing your wonderful condo with us. Just visited this location and had a wonderful time. There was not anything that I looked for in the kitchen that I could not find. Very well stocked. The condo was very clean and in a great location. I couldn't have been happier with our condo. It is located right at the oceans edge with a short stroll to the beach. The condo was clean and offered enough room to comfortably fit 4 people. Many restaurants within walking distance. We loved this condo! Great location and perfect amount of space. We really enjoyed it! The condo was nice and had everything you needed. Location was great with easy access to the beach and restaurants. Our family had a great time! Thank you Jennifer. You are welcome back anytime! Perfect place for a family get away! Absolutely adorable condo with unbelievably friendly owners. The pictures don't do a good job of depicting the updates a fresh look! Very comfortable with all the amenities you could want, especially in the kitchen. This is our family's new vacation home! Joy, thank you so much. Our goal is to make this feel like home away from home. Our doors are always open to you and your family. The property was clean. It was a nice surprise that sheets and towels were included. This is not typical for VRBO rentals.